If you are a fan of the Beatles, disregard this chair. However, if you are a fan of actual bug beetles you are going to love this. 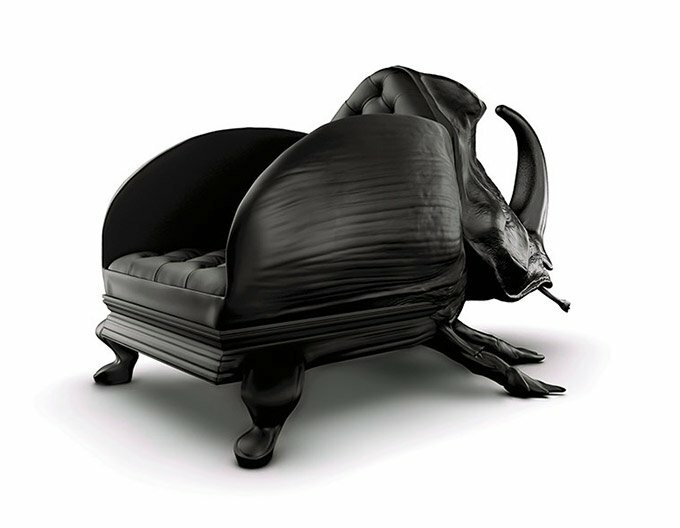 This huge and very comfy looking Rhinoceros Beetle chair is fit for a beetle king. This insect inspired chair by Maximo Riera is all kinds of awesome if you love bugs (and all kinds of awful if you hate them.) 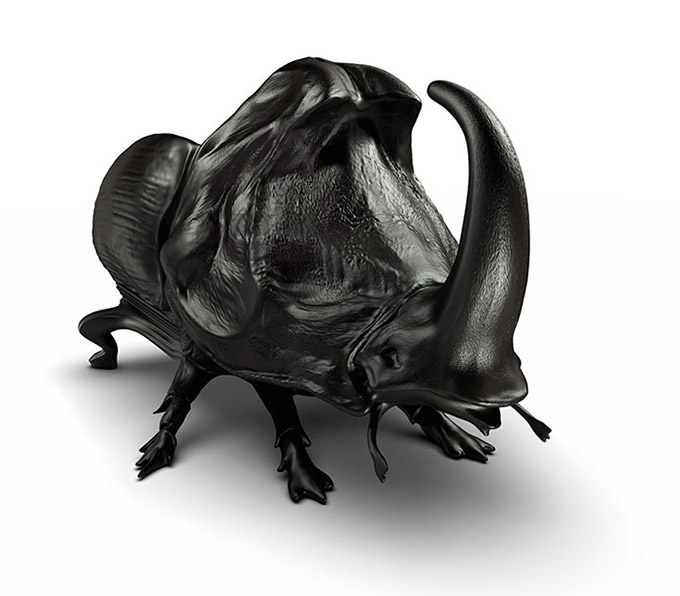 As Maximo points out, beetles are the strongest land animal in relation to their size, capable of lifting over a hundred times their own weight. So why not let let them serve as chairs? I say we genetically alter them and beef them up and put them in our living rooms. Besides, the way the average American is getting fatter, we are going to need some new durable furniture. 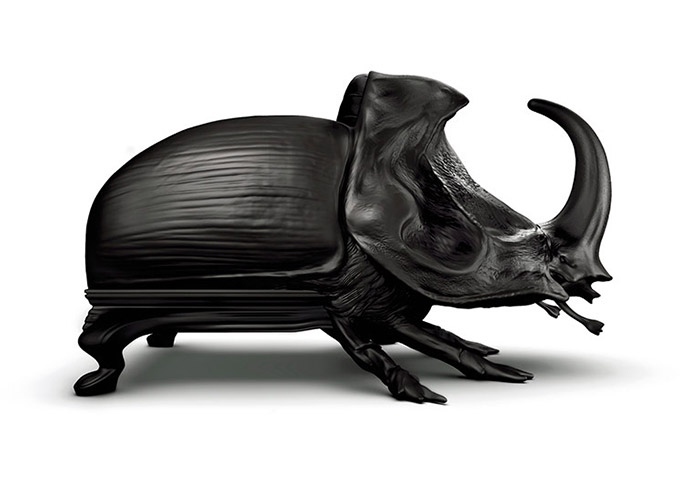 Unfortunately, the Beetle Chair is just a one-off design right now, but it would be awesome if we could buy it.